Immunizations are one of the most effective ways of remaining healthy throughout a lifetime. 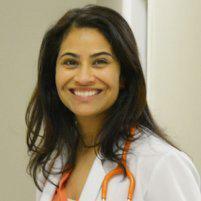 Seema Sharma, MD offers immunizations for children at VIPediatrics of Las Vegas in West Las Vegas, Nevada and surrounding areas. Vaccines are implemented to protect people against life-threatening and infectious diseases. When a germ invades the body, the immune system’s response is to create antibodies against the germ as it recognizes it as a foreign invader. These antibodies will either inactivate the germ or mark it for destruction. Vaccines enhance the immune response so that when a germ invades the body, the immune system will create an immediate attack on the foreign invader for faster healing. This gives the body a crucial head start that lets it prevent dangerous infections or make them less severe. Vaccines are a preventative action used to protect the body against disease, this is especially important for children. Vaccines have proven to prevent many cases of disease over the years and have saved millions of lives. If a child becomes infected with a virus, the immune system’s response is to produce antibodies to fight it. Because the child’s immune system is still developing, the antibodies take time to develop and it cannot work fast enough to prevent disease from forming, so the child will get sick. The immune system will store a memory of that specific antigen so that if the virus returns to the body, even after many years, the immune system will be able to produce antibodies fast enough to keep the disease from developing a second time. This process is known as an immunity. Through vaccination, children can develop immunity without having to suffer through the diseases that vaccines prevent first. When should my child get immunized? It is recommended that children get immunizations when they are babies. It is a general misconception that children should not get shots until they are ready to enter school. Rather, it is advised that children receive most of their shots during their first two years, starting at birth or when they are two months old. Immunizing individual children will also help protect the health of the community.